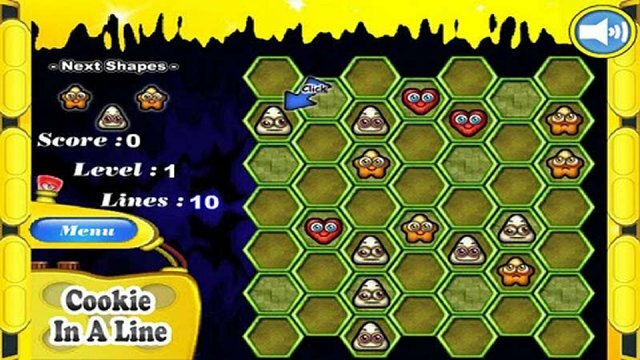 This is a strategy game,this game's objective is to make cookies groups of four in a diagonal or vertical row. The rule is very simple,but there are many possible ways to play it. 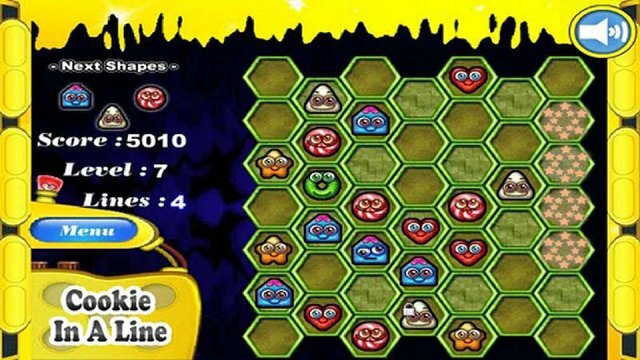 Try this game,it's easy to play,but definitely difficult to get high scores. You need intelligence and good luck. To move a cookie,click on it;then click on the place you want to move it to.